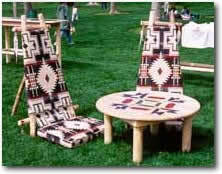 The comfort and stout structure has made our Tipi Furniture line one of the most requested. 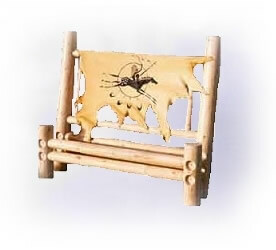 We know if you sat in our Floor Style Tipi Chair you would be amazed at the relaxing comfort. 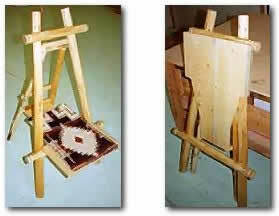 The Floor Style Tipi Chair is fashioned after the traditional tipi chair used by our ancestors for centuries. Originally these were made out of willow twig and lodge pole, below is our adaptation of this comfortable tipi chair with examples of the tipi table and storage chest.